Jean Labrosse is a Software Architect at Silicon Labs which acquired Micrium in 2016. 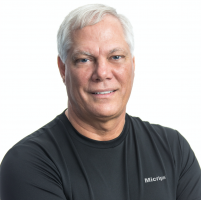 Labrosse, who founded Micrium in 1999, is a regular speaker at the Embedded Systems Conference in Boston and Silicon Valley, and other industry conferences. He is the author of three definitive books on embedded design. He holds BSEE and MSEE degrees from the University of Sherbrooke, Quebec, Canada.